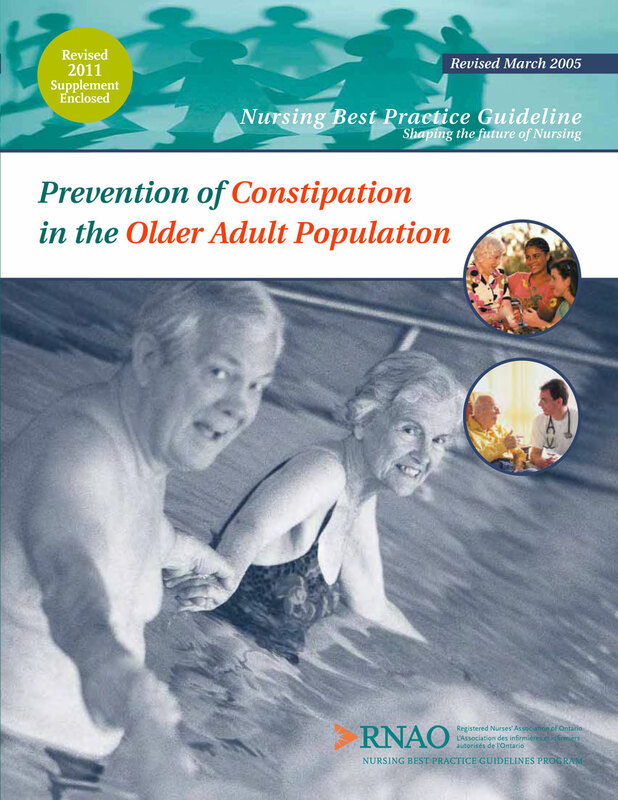 The purpose of this guideline is to reduce the frequency and severity of constipation among older adults through the use of adequate hydration and dietary fibre, regular consistent toileting and physical activity. 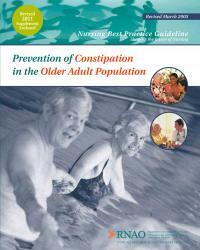 Achieving and maintaining a pattern of normal bowel elimination will prevent constipation, decrease the use of laxatives, and improve the quality of life for older adults. This best practice guideline contains recommendations for Registered Nurses (RNs) and Registered Practical Nurses (RPNs). It is acknowledged that effective client care depends on a coordinated interdisciplinary approach incorporating ongoing communication between health professionals and clients, ever mindful of the personal preferences and unique needs of each individual client. Jenny Ploeg, B.Sc.N., M.Sc.N., Ph.D.